Discount retailers like Aldi and Lidl are no longer competing with traditional retailers on price only. The majority of the discount chains are responding to the healthy food movement and are increasing the range of produce items available in this category, such as organic. This has been evidenced by the fact that prices at retail level have remained relatively steady this past year, indicating that prices have perhaps optimized. Either way, research suggests that most retailers are unwilling to increase prices at the moment. "In general, prices have been very flat across produce categories and regions in the past year," said Anne-Marie Roerink of 210 Analytics. "With lots of competitive pressure, retailers are hesitant to increase margins in produce and most categories across the store. Where perimeter sales had been outpacing center store sales for several years, the latest 52 weeks is actually seeing above-average growth in center store, with many fresh categories down or flat. We can’t solely point to value-based formats to single-handedly influence the price of anyone item or category, but the collective pressure on keeping prices competitive certainly plays a role." While it's true that one of the ways discount retailers keep their costs down is by strictly limiting SKUs, they are evidently making room for them when it comes to the 'healthy food' category. By having a larger range of organic, GMO-free, fair-trade produce items, they are capturing the market of shoppers that are increasingly seeking out these items and who might have previously avoided the discount chains, assuming the range wasn't there. 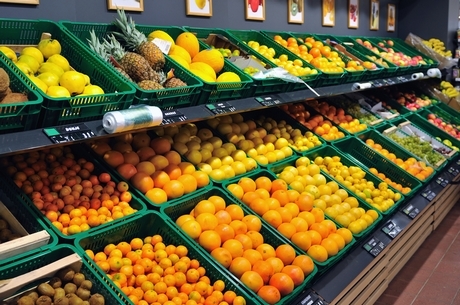 "More and more shoppers are seeking out health and transparency focused claims and rising above the overall health halo of produce by seeking out specific claims or health benefits," Roerink noted. "Both Aldi and Lidl have a surprisingly deep assortment of these types of items across the store. In meat, for instance, most of their SKUs are antibiotic-free, hormone-free, free-range, etc. They too have found a way to combine value and organic/specialty." And not only are they carrying enough of these items to satisfy more shoppers, they are enmeshing it into their store culture, as Roerink explains, "Lidl is working hard in building their quality perception with shoppers. Right as you walk into the store, an entire wall is dedicated to a quality statement that includes the following: 'Carefully curated for you. Priced to live better.'" However, she added that it will take time to know if these efforts are really paying off. "The best way to judge whether the quality perception is sticking is repeat purchases, so next year will be very telling." If the statistics are anything to go by, it seems that the discount retailers are giving customers what they want. Value aside, by stocking more of the organic/healthy food category items, theses stores are not only attracting more customers, but also keeping them satisfied. "The products available at discount supermarkets generally resonate well with shoppers," said Brian Numainville of the Retail Feedback Group. "Consider Aldi, for example, where we consistently see consumers giving improved marks on produce quality, likely the result of increased effort there in areas like organic fruits and vegetables. Aldi has also been expanding into 'better for you' brands like Fit & Active, Live-G-Free and Simply Nature. They have also removed products with hydrogenated oils, artificial colors and MSG from the stores." "We know from our most recent study, the Retail Feedback Group 2017 U.S. Supermarket Experience Study, that Aldi, among their shoppers leads supermarkets and Walmart in value for money satisfaction, as well as outscores them on checkout speed satisfaction and is on par with supermarkets and beats Walmart on several other key measurements," he continued. "Supermarkets, on the other hand, still lead satisfaction scores in most other areas. However, this means that larger retailers have to compete against discount retailers on multiple fronts." One of the trends that Roerink has noted is the stagnant growth in traditional supermarkets in favor of the two categories at each spectrum - that of the value-focused discount retailers and also the high-end stores like Wholefoods and Sprouts. This growth is not just in store numbers, but across most categories. This has forced traditional supermarkets to rethink their strategies and adopt elements from both ends in order to keep up. "When we look at the U.S. grocery retailing market, we have value-based formats on one end of the spectrum and on the complete opposite end, we have the specialty/organic stores," she explained. "Interestingly, whether we look at trips, dollars or store development, the growth is at these two ends of the spectrum. 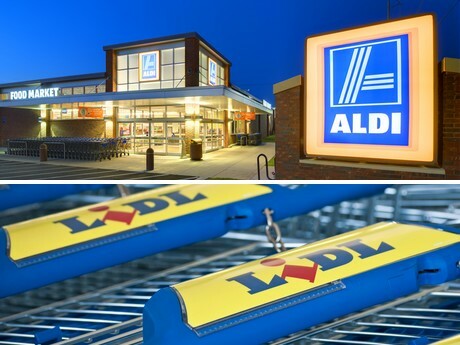 On the value-side, Lidl may have pulled back on their aggressive market entry plans, but Aldi continues to expand and invest in remodeling and modernizing their stores." "Since 'business as usual' appears to be strategically suicidal in the current marketplace, we also see many traditional supermarket formats also experiment with smaller, value-focused formats," she added. "A new twist is combining value and premium with the creation of formats focused on affordable organic, wellness and specialty offerings, such as Lucky’s Market and Fresh Thyme — each backed by traditional grocery companies." Roerink also suggested that in the future, given the limited number of items that can be carried in the one store, we will see major stores switch to only organic for some produce items, if that is where the dollars lie. "Retailers will look to optimize the spending of shoppers who already visit their store," she shared. "I suspect in a few selective produce SKUs that have a high household penetration for the organic variety, we’re going to see stores eliminate the conventional SKU and only offer the organic counterpart. Retailers only have so much space, aka SKU availability. So once household penetration is there, it makes sense to carry only the organic SKU and offer a whole other item instead. This will likely only be a select few items to start, such as carrots."